The benefits of using a Solid Shampoo do not stop there. Solid Shampoo bars are super concentrated, so you can use less per application and they will last longer. Take a look at a bottle of shampoo in your bathroom or on the shelves in stores and the first ingredient you will see is water. The overall carbon footprint is less with shampoo bars. As mentioned, these solid bars are more concentrated, lightweight and compact than their bottled counterparts, so they require less space during transport relative to the same amount of washes with liquid shampoo. Roughly ten to fifteen transport trucks of liquid shampoo would be needed for one transport truck of solid shampoo bars to get the same number of washes! A million plastic bottles are bought around the world every minute and the number is projected to jump another 20% by 2021. This equates to about 20,000 bottles being bought every second. Fewer than half of the bottles bought in 2016 were collected for recycling and just 7% of those collected were turned into new bottles. That means, approximately 93% of the 480 billion plastic water bottles sold in 2016 ended up in landfill or in the ocean. We understand that not all hair is equal, which is why we have developed four different specialized Solid Shampoo bars. So you get the results you expect from your shampoo. 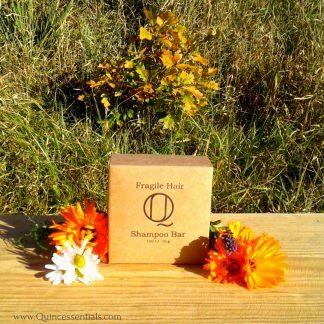 If your hair is thin and fragile our Fragile Hair Shampoo Bar is just what you need. Filled to the brim with nourishing vitamins and minerals. 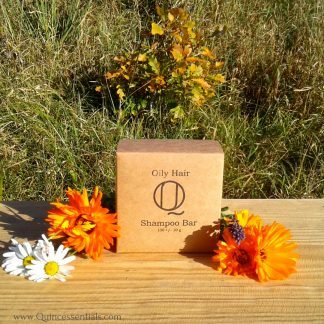 When you suffer from oily or greasy hair and scalp you need to try our Oily Hair Shampoo Bar. Its soothing properties will alleviate the causes and not simply address the symptoms. For hair that is healthy, smooth and shiny but not greasy. 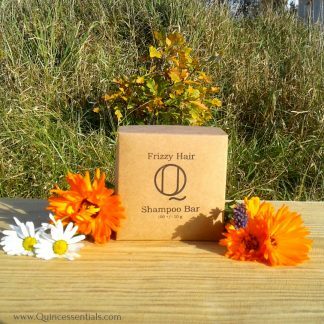 Do you have curly or frizzy hair, our Frizzy Hair Shampoo Bar is just what you need. Formulated to tame, moisturize and nourish your hair and scalp to stay smooth and shiny. 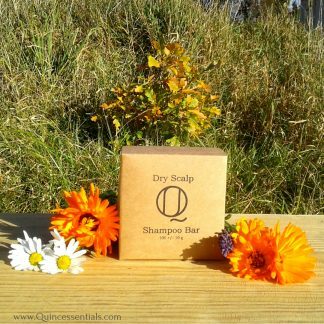 If your scalp is dry or irritated, or overly sensitive, be sure to try our Dry Scalp Shampoo Bar. With its antibacterial anti-fungal nourishing and soothing ingredients it will restore your scalp and hair back to health. An effective ally when it comes to dealing with skin problems, such as allergies, irritation and inflammation. When switching to a Solid Shampoo and you want to get the most use out of your bar, make sure to not leave your Shampoo Bar in the shower. Store it dry and it will last you a long time. When switching to a different shampoo it may take a few washings before your hair and scalp will get used to the product, this is perfectly normal. 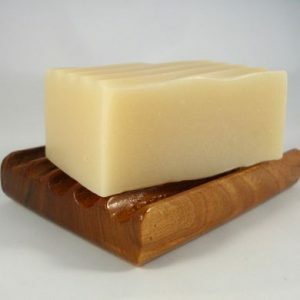 When applying the shampoo to your hair you can simply use it as any soap bar and create the lather in your hands and then apply it to your hair. You can also use the Shampoo Bar directly on your hair. With the shampoo bars, you will find they suds up right away, so you’re able to tell pretty quickly when you’ve reached your desired lather. After that it isn’t any different from your regular liquid shampoo. Wash and rinse and you are good to go. To read more on the benefits of each of our specialized Shampoo Bars, or to order simply click on one of the images below. Previous post: Why use a Natural Body Oil?